We’re gearing up for the busiest time of the year in the nightlife industry. Are you ready? Here’s the top trends we’re seeing as we head into the fall season. Experience is everything. People aren’t coming to your venue for your $500 bottle of vodka or your $13 drink. They’re coming for your party and the experience you provide. If your guest has a bad experience their first visit, they’re not coming back — and neither are their friends. This is especially true for your up and coming millennial guests, where experience trumps most other factors when deciding where to go out. This trend is true not only in the US, but also around the world. Ce La Vi in Singapore says they focus on the “end to end customer experience and create an illusion of exclusivity,” according to Nightclub & Bar magazine. 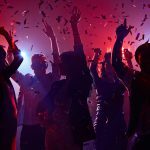 “They celebrate loyal customers’ and resident DJ’s birthdays, turning those nights into special experiences for all club-goers (and attracting new prospects).” Check out these 3 steps to shift your focus on your customers’ experience. 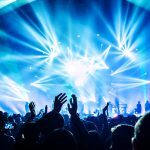 Events are a big reason for success in the Nightclub & Bar industry, and this year venues began thinking outside the box. In the past, the two most common types of events were for major holidays and musical acts. But now we’re seeing venues treating every night like an event in creative ways. CellarDoor co-hosted an interactive mystery event to further engage their customers and pique more interest. During the summer, we saw more live music events, concert series, and pub crawls. And in the fall — the season with the most event — we expect this trend to grow even more. After all, it’s this type of thinking that allows you to get the most out of every night since you’re able to pre-sell inventory before each night, including tickets, VIP tables, drink packages, and even a simple cover. This pre-sale revenue not only guarantees money in the bank, but also guests in the door. Fall will follow Summer’s trend of spiced, hand-crafted quality cocktails. 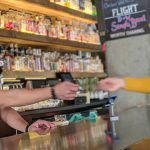 As stated in Restaurant-Hospitality Magazine, consumers are increasingly drawn to locally grown, seasonal flavors, and seasonality in cocktails is no different. For Fall, trendy seasonal flavors include apples, cinnamon, pumpkin, robust whiskeys, brandies, and aged rums. Add a local flair with ingredients found only in your region. I enjoyed a huckleberry mule in Washington a few weeks back, a drink I was drawn to simply from the local huckleberry vodka it entailed. Make a signature fall cocktail as a promotion to draw even more excitement from guests. It seems the anticipation of New Year’s comes earlier every year. And with customers planning ahead and looking to buy the early bird tickets, this year is no exception. We’ve already started seeing venus publishing their events and selling tickets online. So if you haven’t started yet, nows the time to start planning your New Year’s Eve extravaganza and getting your event and tickets ready for consumers to purchase. Follow these 7 steps to start selling tickets to your NYE party. Get started on Vēmos now to handle all areas of your venue — from events, to tickets, to reservations — in one platform.